While doing some shopping on Wednesday night, I realized how many people are just down right miserable and not happy with their lives in general. It's sad. I could tell this by the way they treated others. all of the wedding advice! the fact that my two best friends (who don't live here) just said - "I am definitely coming no matter what" - SO HAPPY! that I'm kicking my mom's booty in "dice with buddies" - heehee! finding a great gift for a two year old's birthday! Can't wait to celebrate with her on Saturday! celebrating my SIL's birthday on Wednesday night (took her out for a delicious meal!) and birthday dinner with family & some of her closest friends on Friday! leaving my old job when I did...perfect timing. Things are getting a little crazy with the new owner! I do feel sad when I think about how miserable people are...especially when you see people that only get enjoyment out of other people's suffering...that's just such a wrong and sad way to live. 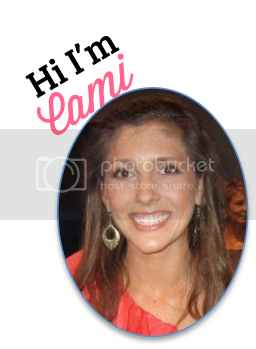 Hey Cami......I love your attitude and your list of grateful stuff. And I see it too...how some people walk around unhappy and miserable. It's sad for them b/c life is so much more fun when you live with gratitude and that gratitude does something so amazing don't you think? Yeahhhh that your friends are coming to your wedding and for all the neat stuff happening in your world. Hugs to you. You shine. Thursday is my favorite day on my blog, too! One of the reasons I do Thankful Thursday posts is to try to spread some of that joy of what we all have to be thankful for instead of just wallowing in what is wrong in the world. Good luck with the plans and thanks for hosting. It makes me sad that a lot of people just complain and don't treat people nicely... They need to start a blog and do Thankful Thursdays, I think it would really help them lol! Enjoy every moment of your wedding planning process. The wedding will be here before you know it. thanks for hosting, glad the wedding plans are coming together!! !